The October 1st liability shift has been at the forefront of the EMV discussion for several months, leading to many questions and much worry from business owners. While the day of the shift has come and gone, there are still a good number of businesses that are not yet EMV compliant. America has been particularly slow in getting up to the world standard for credit card security; most consumers still don’t even have EMV cards. While these facts make it seem like EMV compliance isn’t that big of a deal, it is still paramount that VARs in the hospitality and retail sectors offer solutions for the most up to date technologies. EMV is not going to go away, and compliance will eventually be the norm throughout all industries. Restaurant and retail business owners might be upset and concerned if their point of sale solutions are not EMV compliant, and a failure to address these concerns in a timely manner can spell trouble for VARs. Customers want to feel as though they are purchasing hardware and software from a cutting-edge company that has a good feel for the newest trends and a pulse on their client base. Failing to offer these customers the technology they seek could lead to them taking their business elsewhere. 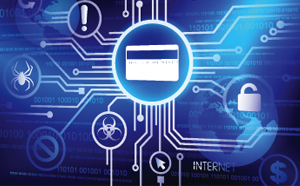 In addition, being proactive with an EMV-ready offering will make your company look better in the eyes of customers who have not yet realized the importance of updated credit card security standards. Even if the software you offer isn’t yet EMV compliant, it is still beneficial to offer/install secure PIN-pad smart card readers. This will make the transition much easier once the software is ready to be updated. It is also beneficial to think about network security during this time. Solutions such as Phoenix Managed Systems offer ways to properly secure businesses, reduce costs, and decrease the risk involved with running a business. There has been plenty of discussion about EMV over the last year or so, but many merchants are still not properly informed. A lack of information – or a wealth of misinformation – can create unrealistic expectations for some of your customers. Explaining the ins and outs of EMV can help set the record straight and prevent customers from becoming unhappy with your service. Having a plan and sharing it with customers is also very important. This proactive approach will ensure that all of your customers are on the same page as you, and it can also save your company from losing valuable customers. Don’t wait for customers to come to you about EMV; it’s much better to be proactive instead of reactive. EMV is still not where it needs to be in the United States, even with the liability shift in place. However, being slow to deploy an EMV-ready solution can lead to quite a few problems down the road.